Absolute Radio has expanded its investment in football by signing a six-figure deal to broadcast its first live commentary from the Uefa Euro tournament, which is being held in Poland and Ukraine this summer. Under the terms of the deal, Absolute Radio will have the rights to broadcast live commentary from all the England and Republic of Ireland's Euro 2012 group stage matches, as well as two quarter-finals, one semi-final and the final. The commentary from Absolute Radio's Jim Proudfoot will be broadcast on its FM signal in London and the South-East and its national AM signal, as well as on DAB, online, mobile and digital TV. 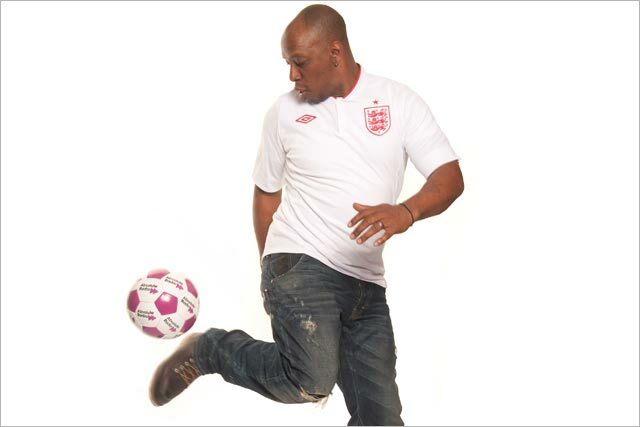 The commentary complements Absolute Radio’s previously-announced Currys and PC World-sponsored 'Rock 'N' Roll Football' show with former Arsenal and England star Ian Wright, from 5pm each day during the tournament. Absolute signed a three-year deal to broadcast commentary from the 3pm games in the Barclays Premier League from the 2010/11 season and a spokesman said it expects its ad revenue to easily beat the market this year, partly driven by football. Clive Dickens, chief operating officer of Absolute Radio, said: "The football sponsorship, promotions ad market is very buoyant. This investment in Euro 2012 is just part of our strategy to enhance our Absolute Radio’s 'Rock 'N' Roll Football offering with extended rights." Absolute Radio broadcasts live commentary during the Premier League season on AM and 'Rock ‘N’ Roll Football' (its mix of music and chat) on FM. The Euro 2012 tournament will mark the first time it has broadcast commentary on both frequencies. Paul Sylvester, head of presentation, Absolute Radio, said: "Absolute Radio broadcasting England and Ireland Uefa Euro 2012 matches across the network, with the introduction of FM, will take 'Rock ‘N’ Roll Football' to new heights this summer. "Wrighty’s been there, he's done it and he knows what the players will be going through. He'll have an amazing insight and will give his views in his brilliantly unique way." UTV Media's TalkSport will be broadcasting all 31 Uefa Euro 2012 games live on its national AM licence, on digital radio and online at TalkSport.co.uk, from the first game on Friday 8 June until the final on Sunday 1 July. BBC Radio 5 Live also has broadcast rights for the tournament. Absolute has released an online video to promote its coverage featuring Wright reciting Rudyard Kipling poem 'If'.